Action: Choose a character. Heal all damage from that character. 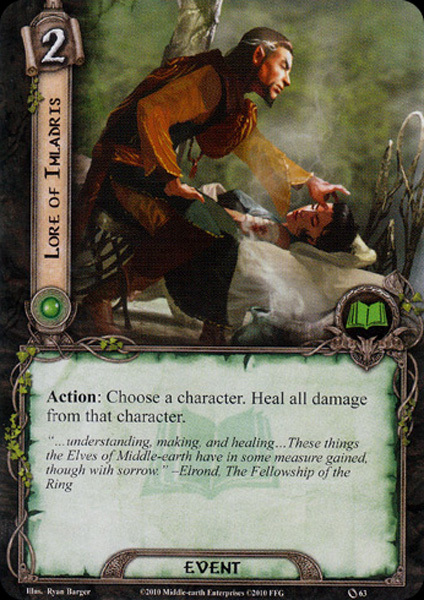 "...understanding, making and healing...These things the Elves of Middle–earth have in some measure gained, though with sorrow."